How can you tell who is really an expert? We cannot readily test them as they know more than we do. Awaiting the outcome of their advice may take days, months, or years; would you wait for five years to determine whether your dentist is effective? That said, we do make such decisions by evaluating a 'proxy' for an expert’s ability. When looking for a mechanic, we settle on one we can talk to. Among real estate agents, one we feel we can trust. And among scientists, one we can understand. A set of such cues about who is acting 'expert-like' has been programmed into our psyche since childhood. They are signals of authority that are evident in every conversation. Professor Will Rifkin began studying 'expert status' after reading about African witchdoctors as seen by social anthropologists. He has compiled a list of '25 Ways to Spot an Expert', analysing how we tend to determine a voice of authority. In this talk he will explain the measure of authority that we give to someone based on our perception of their knowledge, skill, and ability. Insight on this ‘negotiation of expert status’ has ramifications for dialogue and decision-making. In the example above, this talk would be useful for both dentists and their customers! 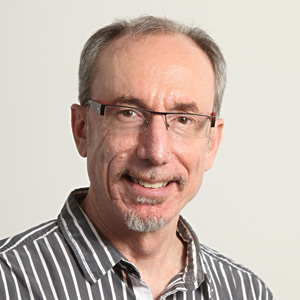 Professor Will Rifkin is Chair of Applied Regional Economics at the Hunter Research Foundation Centre at the University of Newcastle. He was former Chair in Social Performance in the Centre for Coal Seam Gas at the University of Queensland in a joint appointment with the Centre for Social Responsibility in Mining. Holding degrees from MIT, Stanford and the University of California – Berkeley, Professor Rifkin is an engineer-turned-sociologist. For 25 years, Professor Rifkin’s focus has been on ethnographic research and experimentation toward improving communication between technical and nontechnical people. He has consulted with major commercial and government organisations in Australia and the United States in areas ranging from ethics to planning to management communication capabilities.